You are here: Home / How to Invest / What does Equity mean? An asset must be financed by a combination of equity and debt. Shareholder contribution to finance an asset can be defined as equity. There are two ways of to define equity in this context. First is an accounting definition which is the book value of equity on the company balance sheet summed of shareholder contribution and retained earnings (excluding dividends paid). The second is its market value equity which is how much investor value the equity in the company today. The value of equity defined in accounting or market terms can vary considerably. Book value equity is the actual contribution of shareholders in the company. Market equity is the value of the company equity that is traded on the stock exchange. As investors bid up the share price of companies beyond the book value, then the market value of equity can be a multiple of book value. Inversely if investment sentiment turn against the company or sector prospects then the share can trade below its book value. Accounting balance sheet definition is Asset = Liability + Equity. 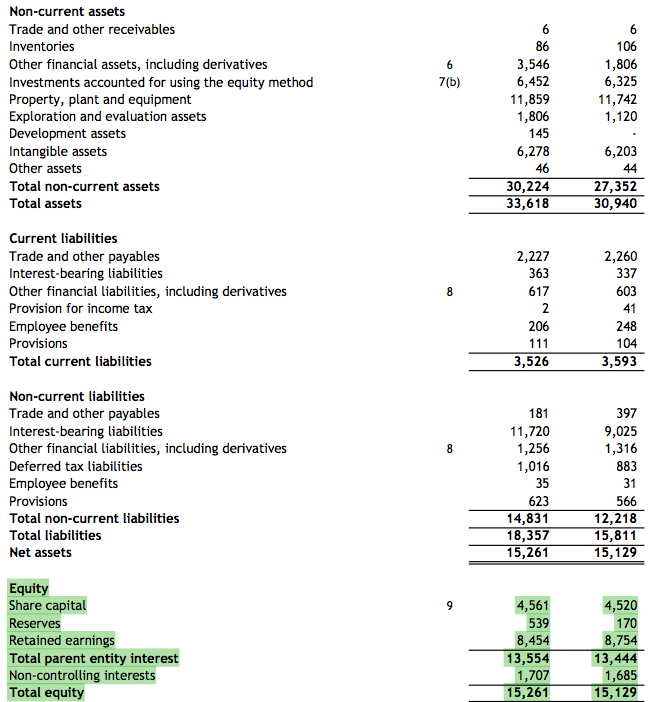 Balance sheet example above shows the business was originally half financed by debt and remaining by shareholder equity. Currently the market value of equity is a multiple of the book value because investors sees the management created value above the original contribution. Company can be listed on the stock exchange and grow overtime. For example ASX20 is an index with 20 largest companies in the world. The market can value the same equity at a multiple of its book value. This is because balance equity is an accounting concept which consisted of shareholder participation in the capital raises and retained earnings. Market value of the equity is based on the future performance of the company where shareholder keeps all the value above interest and debt payments. Hence the former define equity in a historical context while the latter looks at equity in the company on a forward looking basis. Equity analysis is finding the value of the company based on a set of assumptions. The result is that there is no good or bad assets, only good or bad prices in purchasing the said assets. An important way of defining equity value is looking at the expected return over a set timeframe. Dividends are paid when the company is returning earnings to its shareholders. Australian company dividends includes franking credits which are created when earnings are taxed in Australia. These two formulas are critical in comparing return and company performance. After all owning shares in a company is a claim on future shareholder free cash flow. Given formula for ROE above, market value equity can also be calculated if the book value return is known. This is simply book value ROE X price to book ratio. There are a number of evaluating the equity financing structure of a company. One of the easiest way is the equity multiple. This is simply the asset value divided by either book value of equity or the market capitalization. Advantage of using equity multiplier is that is a quick means of looking at the financing structure. Analysis can done on the next level include using discount cashflow analysis layered on top to see how much additional capacity it can handle, or dividends the company can afford to pay.